Back row: Jeannie McLaughlan, Susan Dobson Rita Markham, Miss Hazel Wood (music teacher), Christine Lee, Barry Winspear, Caroline Mortimer, Christina Whetton. Fourth row: Michael Bateman, Graham Nellist, David Bateman, Eileen Chadwick, Heather McGingle, Joyce Liddiard. Third row: Alan Walker, Jean Macro, Brenda Ferguson, Christine Codling, David Peggs. Second row: Helen Fowle Marion Magor, Judy William, Jill Rawson, Frances Colbeck, Florence Cornforth, Wendy Jackson. Front row: Carol Murray, Judy Rowe, Roger Hore, Mary or Elizabeth Harris, John Trevillion, Dorothy Collins, Annie Preston, Irene McGill. Image courtesy of Helen Cook (nee Fowle). A play by Loftus Junior School, possibly a detection theme based on the pipe! Left to right: ? ?, ??, ? ?, Ivan Gallilee, ??, ? ?, ??. Can you assist with names and a date? 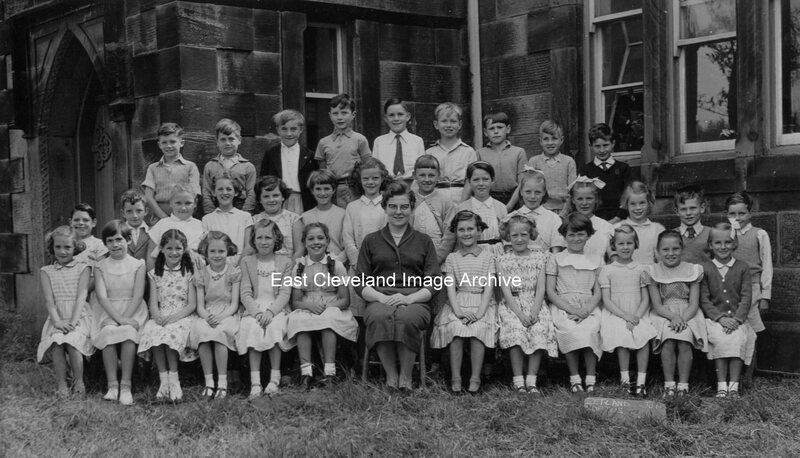 Miss Marion Lightfoot’s class with their summer class photograph 0f 1958. Back row: Derek Miller, Tony Temple, Graham Lightfoot, Douglas Johnson, David Peggs, Ronald Watson, John Summerfield, William Boal, Peter Laverick. Middle row: Ian Legge, John Chipchase, Anne Stephenson, Rita Markham, Tina Wilson, Christine Lee, Joan Verrill, Kathleen Danby, Cynthia Tyreman, Christine Sickling, Frances Vincent, Judy Williams, Brian Richardson, Michael Wilson. 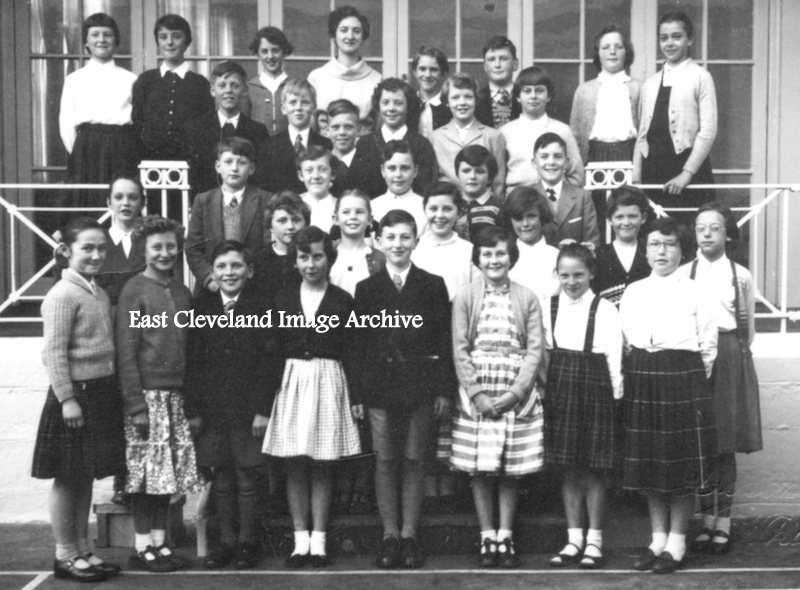 Front row: Barbara Mead, Christine Drew, Pat Dyke, Anne Marie Elliott, MarilynWale, June Lightfoot, Miss Marion Lightfoot (teacher), Dorothy Collins, Marilyn Leng, Florence Cornforth, Ann Rowland, Annie Preston, Ann Horner. 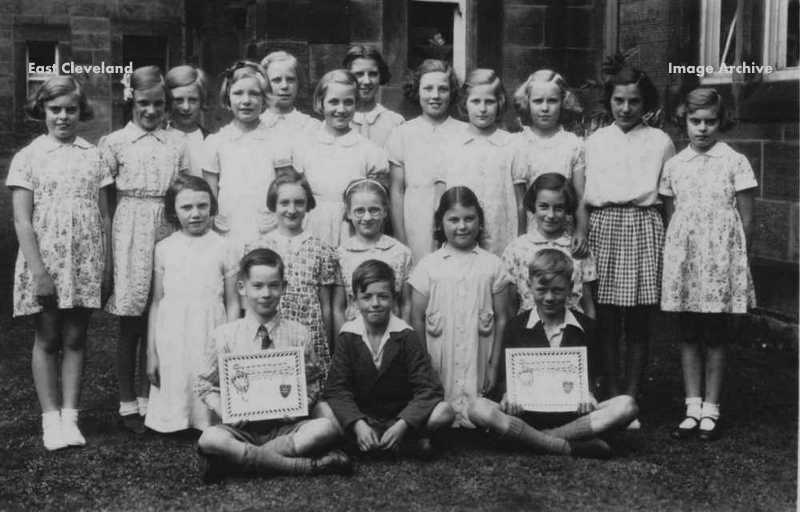 As there were more 40 or more pupils, some were known to have been absent from this image; including Elizabeth Harris, Sheila Dorgan and Cody Hutchinson. 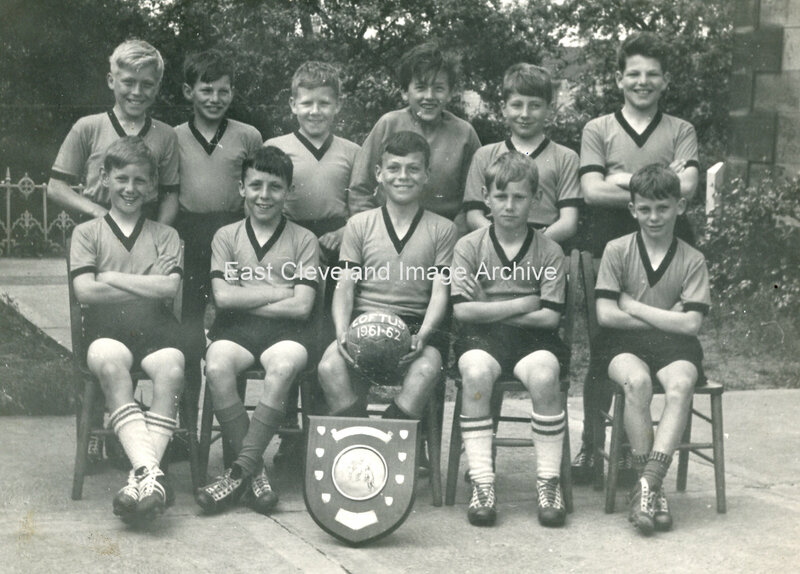 Another one of Peter Thompson’s photographs a little before the grammar school, can you recognise anyone in the photo, we realised it was the Duncan Place site of Loftus Junior School. Thanks to Norman for the update and Sheila for confirming all but one of the remainder of the cast. Back row: ? Maughan, Joyce Bibby (Markham), Mavis Sawdon, Shiela Breckon, Peggy Adamson (Theaker), Jean Owen (Ogden), Doreen Anderson, Doreen Jackson (Barratt), Mary Skilbeck, Joyce Morley, Emily Stuart, ? Maughan. Middle row: Doreen Nattress, Hazel Wood, Lillian Hodgeman, Kathleen Trowsdale, Betty Elders. 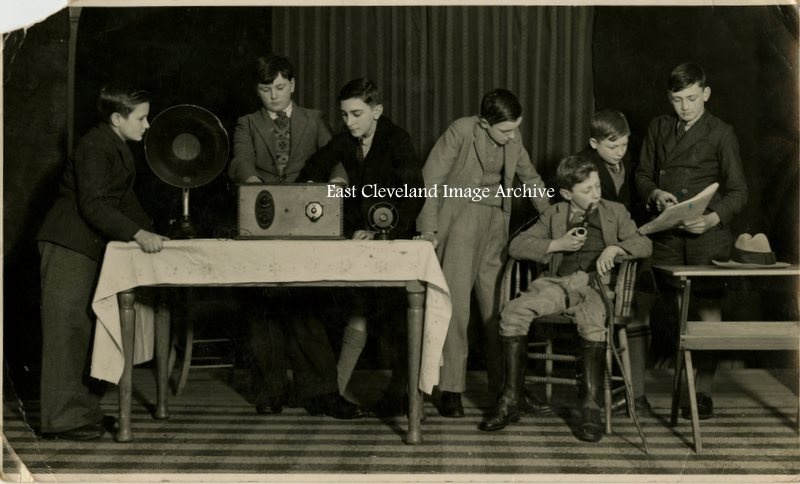 Front row: Desmond Carter, Jack Noble, Bernard Forrest. Image and names courtesy of Jackie Noble. 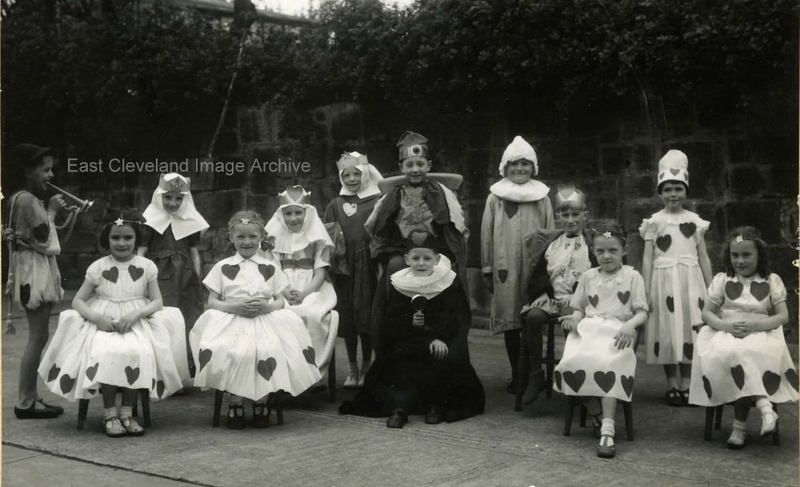 Obviously the pupils assembled in the yard for a parade or judging. 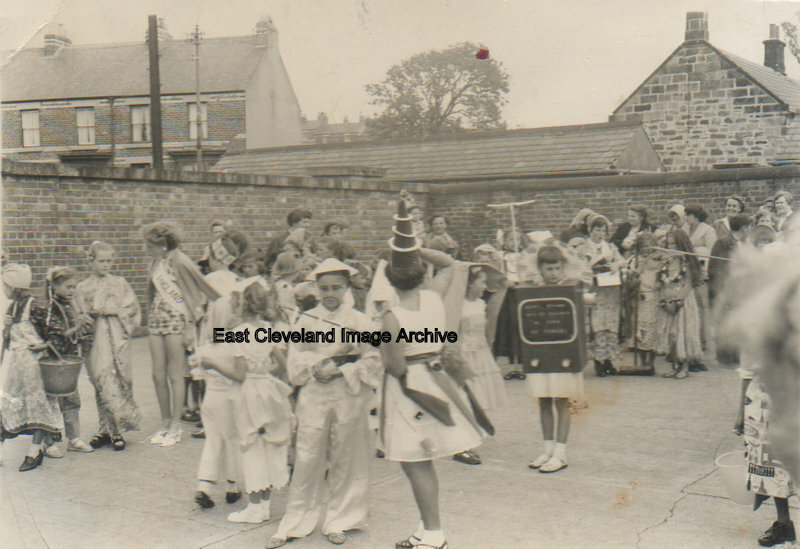 Janet Thompson tells us it was about 1953 and she was 3rd from left dressed as a geisha girl. Can anybody assist with names. Image courtesy of Marian Toulson and thanks to Janet Lingard (nee Thompson) for the update. At last a dated photo and all the names to go with it. Back row:- Derek Roe, David Robinson, Tony Main, Alan Jackson, John Bennet, Keith Mortimer, Norman Patton, Tony Hardy, Dave Smith, Donald Burdon, John Temple, Les Armstrong, Alan England. Middle row:- Michael Dadd, Peter Kitchener, Margaret Verrill, Hazel Laverick, Mary Dale, Brian Winspear, Ron Allinson, Ray Harrison, Norma Grainger, June Lines, Carol Pascoe, Eric Lancaster, Kenneth Fawcett. Front row:- Pam Dobson, Kathleen Grant, Anne Jefferson, Sheila Verrill, Heather Woodall, Judith Dean, Jacqueline Duncan,Valerie Tate, Doreen Eddis, Eileen Benson, Mary Shaw. Image courtesy of Marian Toulson and many thanks to Sheila Harris (nee Potts) for the update. The Junior School not quite as I remember it; there was a dividing wall to the right of the photograph, maybe it’s still there? This wall with just a small adjoining gap, kept the boys from the girls. Yes we had separate yards to play in, not that it kept us separated for long! The yard that can be seen was the boys yard and school entrance and I don’t remember the small gardens being there do you? Back row: John Hicks, Michael Preston, Geoffrey Chadwick, Peter Bargewell, Michael Hollingsworth, Peter Jackson. 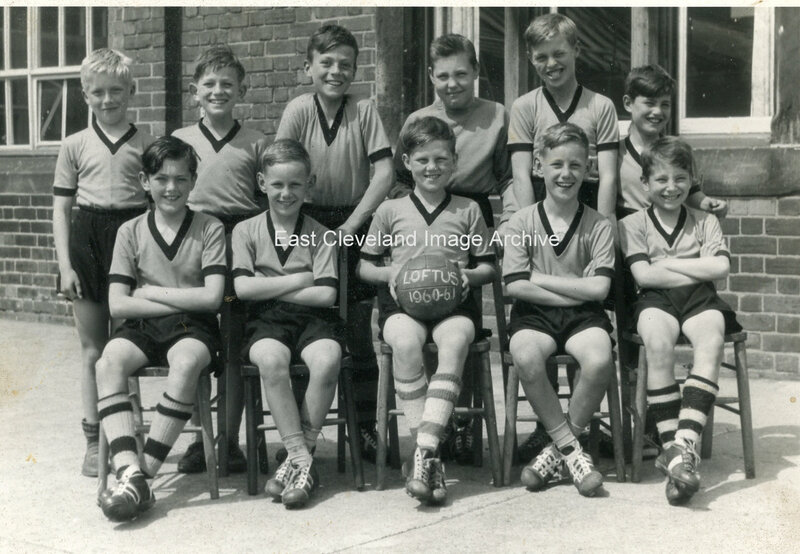 Front row: Jimmy Smithies, Paul Chester, Howard Jackson, David Smithes, Derek or David Hampton. Image and names courtesy of Kathleen Hicks; thanks to Barbara McBurney for updated names. Back row: John Hicks, John (Cudgie) Patton, Howard Jackson, Kenneth Hancock, Eric Mead, Michael Preston. Front row: Tony Blaylock, David Smithies, Colin Smith, Jimmy Smithies, Michael Hollingsworth. Image courtesy of Kathleen Hicks, updated names thanks to Norman Patton, Alan Franks, David Archer, Barbara McBurney and Cody McKay.